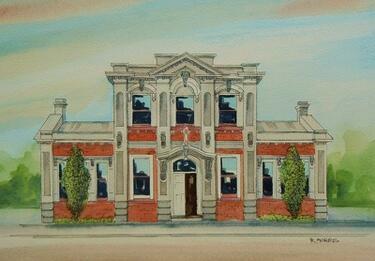 A digital copy of a pen and ink and watercolour painting by Raymond Morris, titled, 'Woolston Community Library, Ferry Road'. A document which describes best practice for dewatering guidelines. A document which describes how the new Beachville Road seawall was built. 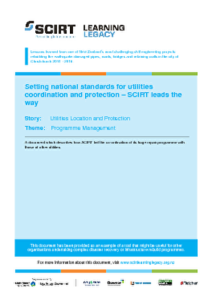 A document which describes how SCIRT led the co-ordination of its huge repair programme with those of other utilities. A document which outlines SCIRT's use of peak performance coaches. A document which describes the processes that SCIRT took when repairing some of Christchurch's heritage bridges. 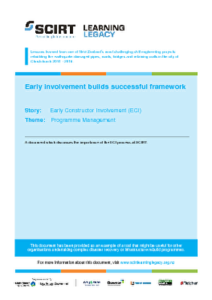 A document which discusses the importance of the ECI process at SCIRT. A document which outlines how SCIRT and the New Zealand Red Cross worked together to aid the recovery of Christchurch. A document which describes the SCIRT estimates process and outcomes. 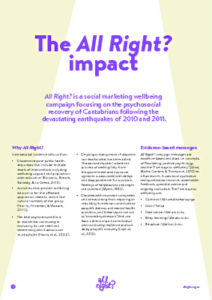 A PDF copy of an evaluation document highlighting quantitative findings about how the All Right? social marketing campaign has helped Cantabrians. The report was created by All Right? in April 2017. All Right? 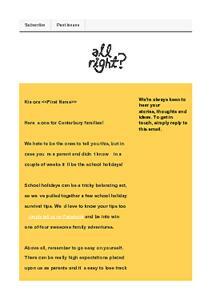 Newsletter: School holiday fun - can it be done? A PDF copy of a newsletter sent by All Right? to their mailing list in April 2017. A document which describes how SCIRT's governance structure was set up and developed in response to the many challenges of the horizontal infrastructure rebuild. An article that explains the innovative work of SCIRT in a post-disaster environment. 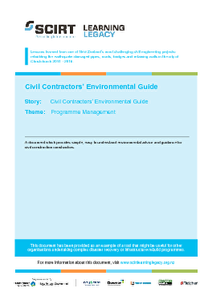 A document which provides simple, easy to understand environmental advice and guidance for civil construction contractors. A document which describes SCIRT's experience with the trenchless technology of pipe lining. A document which illustrates the impetus for SCIRT's zero harm programme, the parties involved, initiatives undertaken and outcomes achieved. A document which describes SCIRT's approach to ensuring zero harm during its five and a half year programme of work. A document which outlines how SCIRT prioritised the 634 construction projects within its programme of work. A map showing the actual construction start dates.